Lakeside Animal Hospital opened in 2015 with this state of the art facility. Solid surface counter tops and porcelain tiles throughout our hospital are anti-microbial for the optimum in health care.. Early construction on our state of the art new building which opened December 2015. Pictured here is our dental x-ray generator. We offer an outside space to enjoy the sunny days. Tests to check your pet's organ functions, parasite status, and basic overall health can be run while you wait in our full service on site laboratory. Lakeside Animal Hospital offers a full surgical suite complete with Isoflurane gas anesthesia and a mulitparameter anesthesia monitor to provide the highest quality service..
Our in house digital radiology suite allows us to obtain images of your pet in just seconds. With our software we can not only send your pet's images for second opinions from board certified radiologists, but also e-mail them to you for your records. Our treatment cages are in an open area so your pet is under constant supervision during their stay. 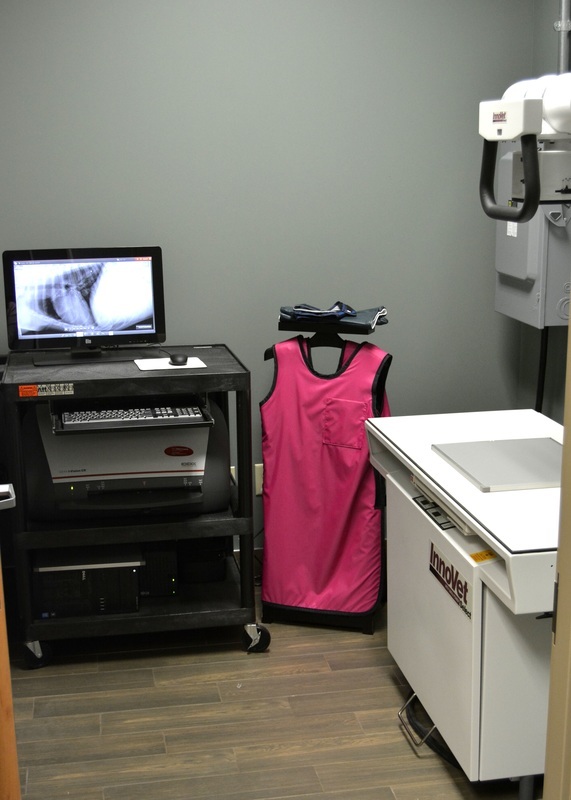 We currently have 3 exam rooms to meet all of your needs. There is even an exam room designated for cats so they do not get scared by the smell of dogs. 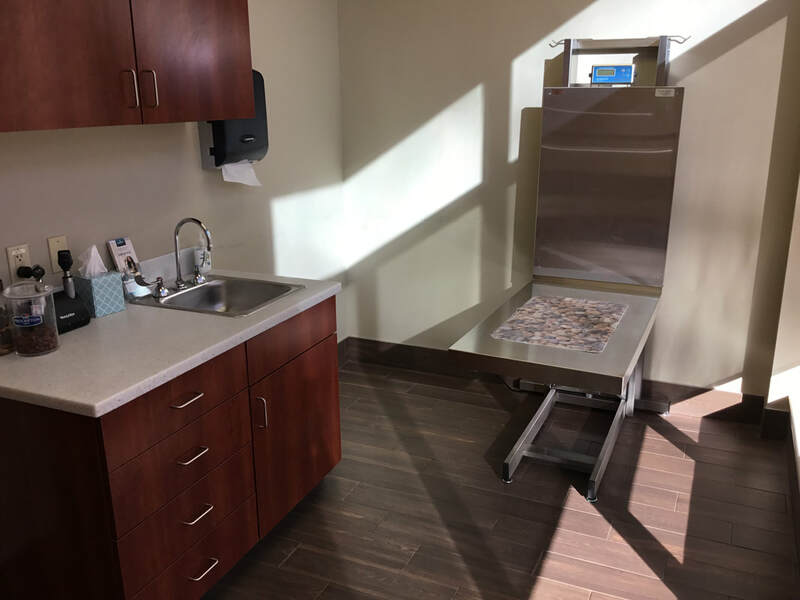 The large dog exam room is complete with a hydraulic lift table.